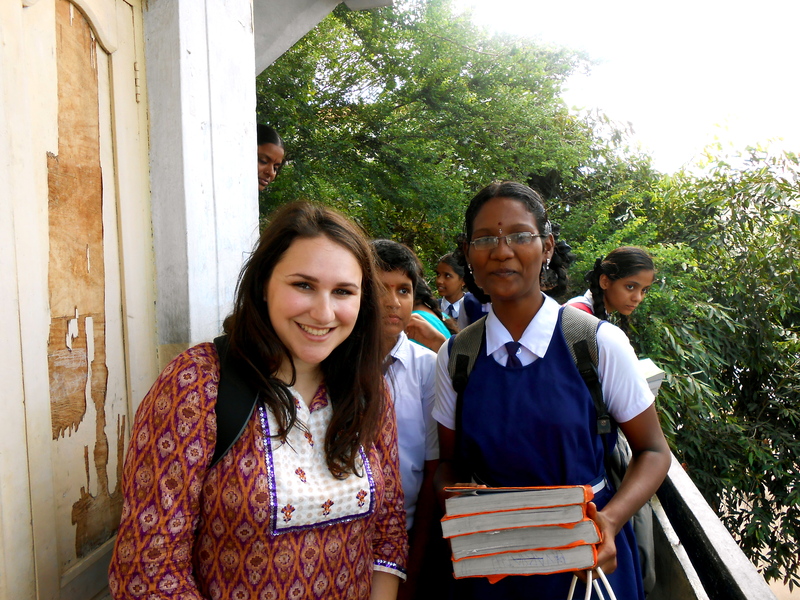 Three years ago, I never would have imagined that today I would be working with a social enterprise in India. From a young age, I was instilled with a strong sense of social justice, a passion for international affairs, and a desire to serve my community and country. I was highly influenced by my pro-bono attorney father, Moroccan-Israeli Jewish mother, and civil rights and peace activist grandparents. Beginning at the age of 15, I dreamed of a lifelong career in Washington, DC, making the world a better and safer place through policy. As one of the many new college graduates in Washington with a Political Science degree, I briefly worked for a U.S. Congressman. Following, I spent two years doing fundraising and operations for a think tank that focused on military analysis of conflicts in the Middle East. Throughout that time I also volunteered with Young Professionals in Foreign Policy (YPFP), for which I co-founded and managed a cohort of future leaders from across sectors. I was proud of my work, and passionate about the missions of the organizations I was working for—factors that I believe are vital for happiness and success. I was living my dream, but it didn’t feel like enough. I was disappointed with how DC worked, with the slow-pace of policymaking, the endless discussions and lack of action, and the absence of collaboration—across sectors, between political parties, and within organizations. I wanted a better way to work for change and to feel closer to the impact. I can’t pinpoint the moment I discovered the world of social enterprise—of doing well by doing good and collaborative approaches for social innovation. I learned about it over time through research on international development, partnering with a social enterprise through YPFP, my obsessive reading of business forums such as Harvard Business Review, and discussions on Twitter. The more I learned about social enterprise though, the more I realized how much it matched my values, perspective, and the way I wanted to contribute to positive social change in my life and career. I view social enterprise less in terms of the entity of an organization, and more as a framework for working and a movement of individuals eager to do better, take action, and create change. I don’t believe that social enterprise is perfect or the panacea to all problems, but I believe that I can be more effective in contributing to positive social change through social enterprise than through policy. Eager to join the social enterprise movement, I was fortunate to begin connecting with the growing social enterprise community in Washington, on Twitter, and through StartingBloc. At the urging of a mentor, I also applied for the IDEX Fellowship in Social Enterprise in India, a perfect entree into international social enterprise for someone that doesn’t want to be an entrepreneur herself, but rather help social entrepreneurs execute and enhance their vision. After two and a half years in Washington, I moved to Hyderabad, India to live and work alongside 70 other fellows working with social enterprises around the country. During my time here, I’ll primarily work on capacity and partnership building for affordable private schools that serve low-income communities. India is a country bursting with opportunities for change and collaboration, and it challenges me daily with new questions about the prospects and shortfalls of social enterprise in emerging markets. I’m grateful for the opportunity to learn, take risks, and collaborate in the social enterprise space in India for the next nine months, and for my experiences in DC that inspired me to journey here.